How could your agency use $5,000 to improve health and well-being in your community? We want to know! 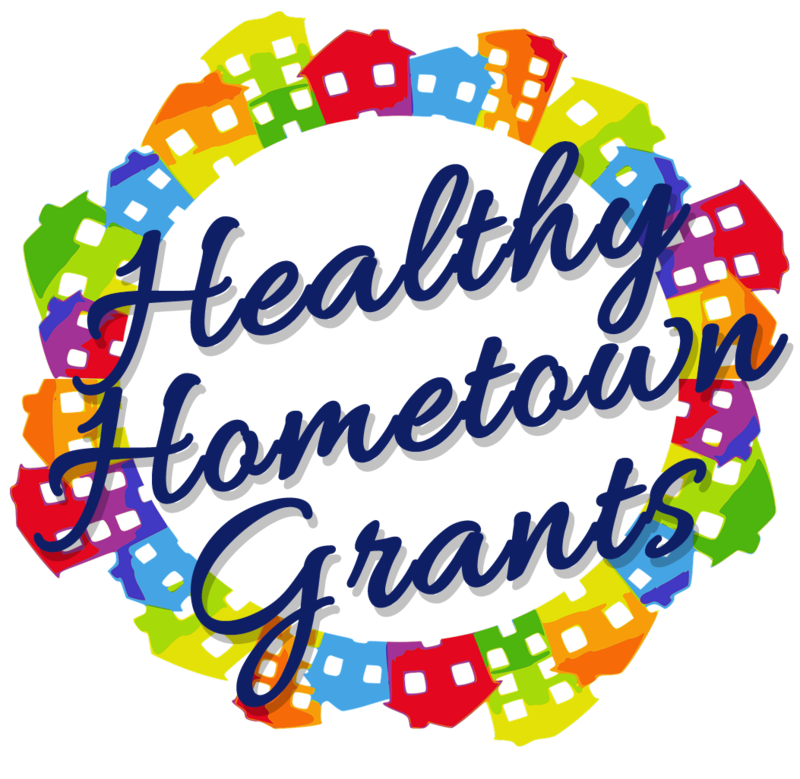 Healthy Hometown grant applications are now available. KRPA will award $15,000 in grants to selected agencies. Healthy Hometown is a community health improvement grant provided by Kansas Recreation and Park Association (KRPA) and the Powercat Health Partnership (Kansas State University, Kansas Health Foundation, and Stormont-Vail Hospital) to provide enhancement dollars to Kansas recreation and park agencies who support healthy lifestyles through programs and initiatives that promote healthy communities. Click here to apply. Applications are due by April 19, 2019. Thank you to the Powercat Health Partnership for their support of health and wellness in Kansas! Could your department use an additional $500 to assist in promoting your programs or events? Sunflower State Games is offering you the opportunity to apply for the 2019 Parks and Recreation Marketing Grant. Easy! Just complete and submit the application form to Sunflower State Games Office by April 1st. All applicants must be members of the Kansas Recreation and Park Association. Only one application may be submitted per department/community. 1) Submit the application form to our office by April 1, 2019. Recipient of the $500 grant will be selected by the SSG Staff and Board of Directors based on the above criteria. Additional consideration will be given to organizations that exceed the minimum requirements listed above. Grant recipient will be notified in August. A formal presentation will be made at the 2019 SSG VIP Reception on September 30th in Topeka. Expense report to be submitted to SSG upon use of Grant Funds. KRPA is pleased to announce that we are now accepting session proposals for the 2020 Annual Conference which will take place February 10-12, 2020 in Topeka, KS. Click Here to Download the Session Proposal Form. Who Should Submit an Education Session Proposal? How to submit a Educational Session Proposal for consideration? Session proposals must be filled out completely for the session to be considered. Branch board members will approve session proposals, and a branch representative will contact speakers to confirm or decline session proposals. The KRPA Office will finalize all contractual arrangements with selected speakers. Commercial companies MUST be a Corporate Partner at the Cottonwood Partner or higher level to request to present a session at the conference contingent on the appropriate branch's approval. To become a Corporate Partner, click here or contact Jamie Reed. More questions? Email Jamie Reed or call (785) 235-6533. There are 16 participating aquatic facilities across Kansas. Click here for a complete list and more information about each aquatic facility. You will receive 2 admissions to each aquatic facility with your punch card. With an average daily rate of $7 per aquatic center per person, this is a great deal. Splash Across Kansas cards are NOW available to purchase through the KRPA store. 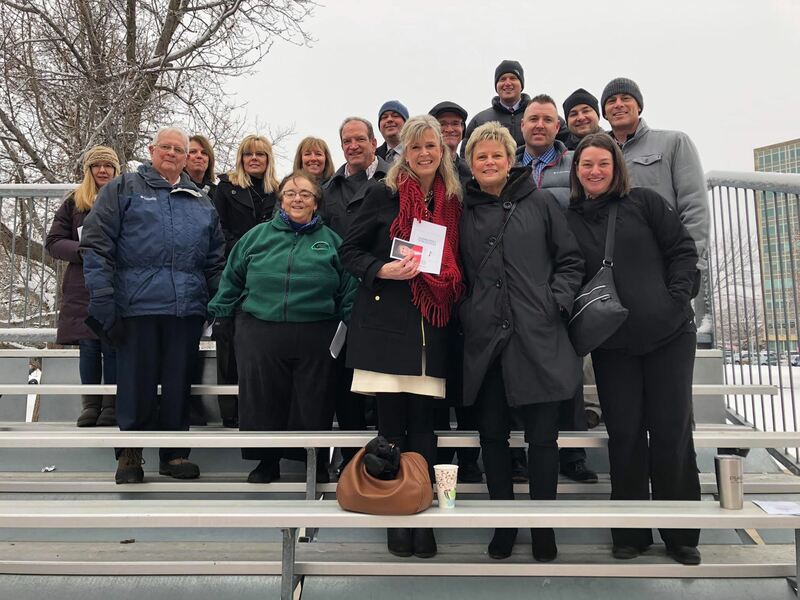 Join KRPA members and staff from around the state to advocate for parks and recreation! Come join fellow KRPA members for a one-day event as we head to the statehouse to meet with our legislators. We will have access to our room at 9:00; the program will start shortly after 9:00. Hear from legislators, our new lobbyists and possibly a special guest. We will have a short session on what to talk with your legislator about then head to the 2nd floor for lunch. After lunch there will be time to watch the house and senate debate on the floor then we will meet back in auditorium to debrief. You will need to contact your legislator before you come on the 27th to let them know you will be at the capitol on the 27th and invite them to come grab a lunch. If you need help with this, please contact Erika. You must RSVP to Erika at erika@krpa.org by February 25th, 2019. With the new dynamic of divided government for the first time in a decade, strong public support for parks and recreation is needed to make our unified voice heard. If you don’t tell the park and recreation story, who will? Be prepared. Make the most of your time and resources at the 2019 KRPA Conference and Trade Show by sitting down and formulating a plan first. The KRPA conference app contains all of the essential information that you will need while attending conference. It has the schedule, the speakers, the vendors, maps for the conference center, and more. You should have received an email inviting you to the app from Crowd Compass. If you did not, please click here to learn how to access the app. Don’t forget to allow push notifications from this app during your time at conference so you don't miss out on any important updates. This one’s a no-brainer. Set a goal for what you’d like to learn at the conference, and use the schedule to devise a plan to meet your goal. Make sure to attend conference-wide events such as the keynote speakers. You can log-in to the conference app and save the agenda that you would like to personally schedule for yourself. If you prefer a hard-copy, please remember to print the schedule pdf before you arrive at conference. Also, make sure you are registered on the KRPA website for the tours (park- FULL, facility and art) or social that you would like to attend. · Food Trucks will be available to purchase lunch on Tuesday from 11:30-1. We know many of you might arrive early on Tuesday before the opening session beings at 1pm. Food trucks will be in the conference center parking lot to provide you with an opportunity to purchase lunch. The food trucks are from The Traveling Bowl and Comfort and Joy Mobile. · Silent Auction Purchases at Trade Show. Don’t forget there will be a silent auction at the Trade Show. Jamie from HutchRec has done an amazing job gathering items for this year's silent auction. It is full of over 95 items from vendors, sports memorabilia, gift cards, and more. You will find a treasure that you might want to take home, so be prepared. · Purchase a $20 Golden Ticket for a chance to win $400. The 2019 KRPA Trade Show fundraiser is the Golden Ticket event. Purchase your $20 Golden Ticket from a KRPA Board member or at the conference registration table when you arrive at conference for your chance to win $400 at the Trade Show. Click here to learn more about the Golden Ticket fundraiser. The people you’ll attend sessions with are as important as the sessions themselves. There’s no better time to network with your peers, connect with new KRPA members, or touch base with longtime friends than at a conference. Connect with KRPA on Facebook, Twitter and Instagram. Use the hashtag #KRPAConference to find friends posting about conference. The app also offers a social page and access to reach out directly to other conference attendees. · Pack enough business cards. Make sure you have some business cards handy to share with new contacts. Don’t get stuck at the registration table and miss your first session. Visit Jamie Reed and her awesome volunteers early to pick up your nametag, your CEU form (if needed) and get any questions answered. If you’re attending with coworkers, try and see as much as possible. Splitting up for sessions will maximize how much you’re able to learn and ensure that each of you has unique insights to take back to your company. On your own? Discovering how your agency fits into the larger Kansas park and recreation field and how other agencies run, is an invaluable insight. A conference provides a unique opportunity to pick the brains of fellow members and agencies, which leads us to Tip #8. Networking with other professionals in your field is a highlight of the KRPA conference and our association. Make time to connect with fellow members. Attend the branch social and meet people in your field of expertise. Exchange information--- when you have questions and need help later in the year, you’ll have the new connections to contact for support. All that information you gathered from sessions and new contacts from the conference and the trade show can quickly be forgotten if not organized right away. Write down your key takeaways. Enter new contacts into your address book. Fill out the KRPA post-conference survey which will be on the app and sent out via email. Send follow-up notes and LinkedIn requests to your new contacts while the conference is still fresh in your mind. Include a personalized message to accompany your request on LinkedIn. Remember to make yourself memorable by reminding your new contact what you discussed. Schedule a team meeting for the week or two after conference. Share the insights you gained at conference that are likely to be useful to your agency. Or, write an email to document the most valuable information. There’s no better place than a conference to take stock of the state of your agency and your profession. We’re proud to announce our mobile app for 2019 KRPA Conference and Trade Show is now live and can be downloaded at https://crowd.cc/krpa2019. Download it to your iPhone/iPad/Android device at https://crowd.cc/s/2pv6Q to have all conference information on the go. Then login to access all the features! The App Game has already started. Explore, use, and connect in the app to earn points. The more you use the app the more points you earn. The winner of the in-app game will receive a $25 Amazon gift card. Thank you to our Conference Technology Sponsor, Confluence! Haven't registered for conference? Don't wait any longer! We don't want you to miss out on this great opportunity starting in just 25 days. This professional development event has a fantastic lineup of speakers and activities. Click here to learn more about the exciting plans for this year’s event and to access registration forms, hotel information and more. For any questions concerning registration, feel free to email the KRPA office. Can't wait to see you in Hutch! 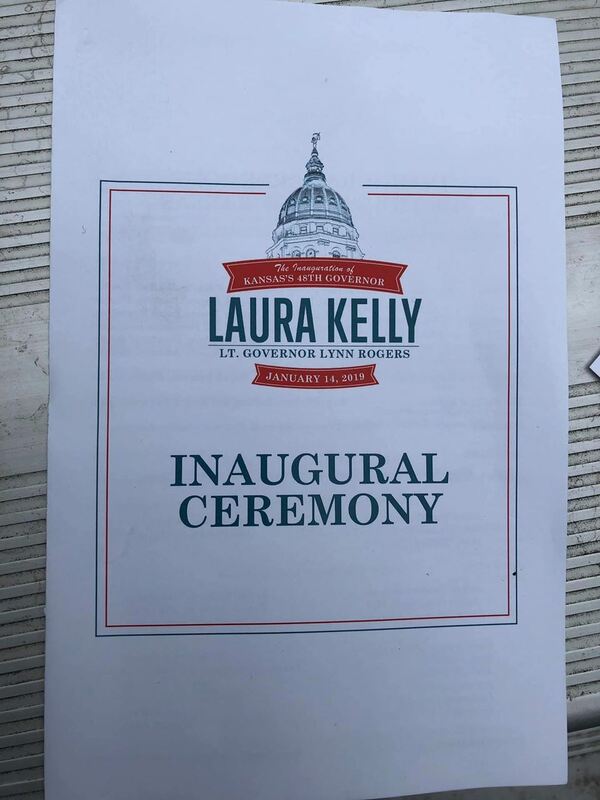 Topeka, KS- KRPA members came together today to witness the swearing in of Laura Kelly, KRPA's first executive director, to the position of Kansas Governor. The weather was chilly but many people still came out to witness the exciting event. Kelly served as KRPA's executive director from 1986-2003. During her time as director, she moved parks and recreation forward through new educational opportunities, stabilizing the association's budget and moving KRPA's office to Topeka where it still currently resides. Looking for an opportunity to enhance the future of parks and recreation in Kansas? Apply today to join the KRPA Young Professionals Committee. The Young Professionals Committee aims to attract and retain young professionals and students in Kansas by providing them with opportunities to enhance their personal and professional skill set through a variety of networking, educational and professional development opportunities. The committee is looking to fill 3 positions. Committee members will serve a 3-year term that begins in 2019. Some responsibilities of the Young Professionals Committee are planning of the KRPA Young Professionals Summit, administration of the KRPA Mentor Program and networking events. It only takes a short time to apply! Applications are due no later than December 14, 2018. The KRPA Board of Directors revised the branch board structure in 2017. The Branch Boards are now structured as a 7 member board (Chair, Vice–Chair, and 5 members at large) for each KRPA Branch. Branch board members are expected to serve a three-year term. Board members help communicate to other KRPA members current trends and topics in their branch field. They will also help coordinate with the KRPA office their yearly branch activities: branch conference sessions, mid-year branch workshops, face-to-face meetings, conference calls and networking events. *If we receive more nominations than positions available, we will hold an election for that particular branch. For more information regarding Branch Board policy, please visit here.